A few weeks ago we began a recipe book with all students of school. 1. The recipes: it's a collection of recipes that the children know and share with everyone in the school. 2. Tips: in this section the children can write some tips that they know and want to share with their school mates. 3. Did you know that...? : it's a section where the children can write about some cooking curiosities. At this moment there are some recipes, tips and curiosities, but we want to encourage you to participate in this project. 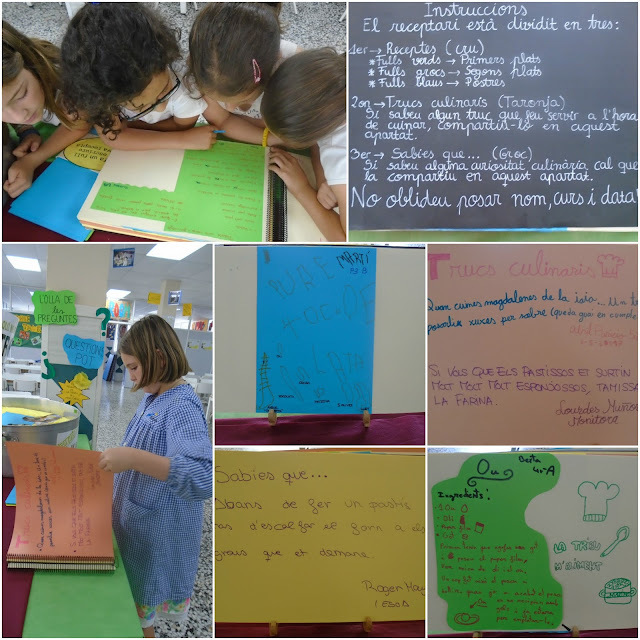 You can give us your recipes, curiosities or tips and your children will add them to the recipe book!